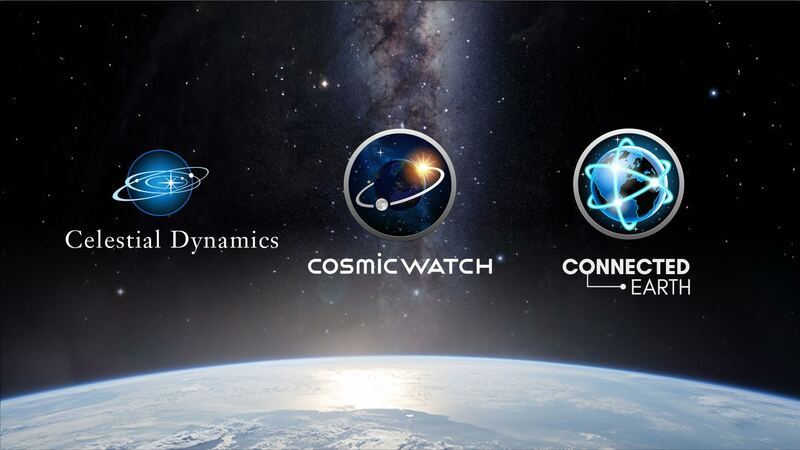 Celestial Dynamics Ltd is a small and enthusiastic team of dreamers, visionaries and profound seekers who created the multiple award winning Cosmic Watch app – the world’d first interactive and 3D astronomical clock.Recently we launched a little free app: the Connected Earth where you can see the many way we are connected from a global perspective. We see science as a form of art. Our mission is to create beautiful and inspiring apps to raise awareness of the magical creation we are living in. We use widespread technology to inspire people and to offer an intuitive and playful approach to learning. The key to our success is that we love what we do. We are based in Switzerland, country of the high quality standards. Everyone who loves the planet Earth and enjoy discovering new things about it. The core is Eduardo Santana, a graphic designer and artist who grew up in the Canary islands and studied in Switzerland. His friend Markus Humbel is a Qi Gong Master and a marketing specialist. This projects are product of deep conversations about life and the universe. Reto Spoerri is a teacher of interaction design at the Art School of Zürich and a highly skilled programmer, not afraid of any challenge. We want to continue developing beautiful apps to expand the understanding of where we are. But irresponsible consumerism is not acceptable anymore. We need to take care of our beautiful planet. Seen it like that the bike is still a genius tech gadget. We are still waiting for round screens, the Cosmic Watch would look great on one of those. We are soon releasing a fantastic update for the Cosmic Watch, so don’t hesitate to download this great app for 5 $ today!